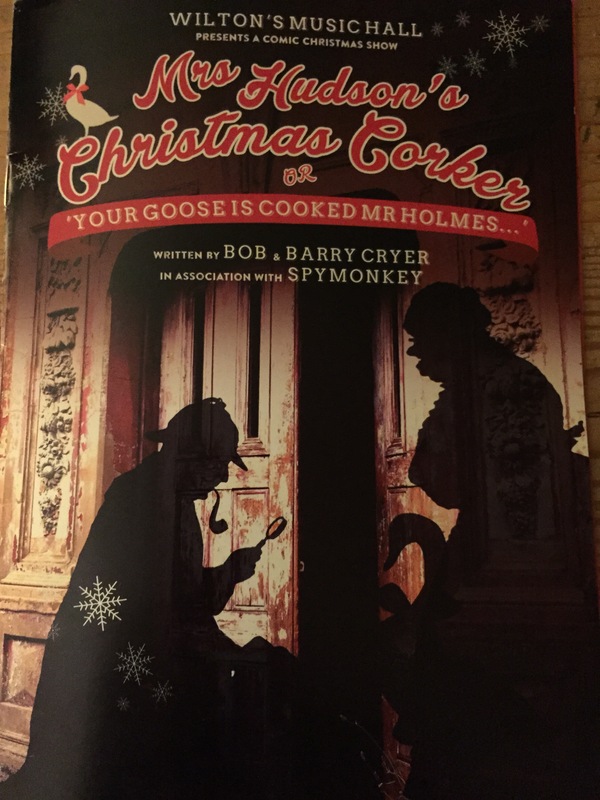 ‘Mrs Hudson’s Christmas Corker – or Your Goose is Cooked Mr Holmes’ is a lively jape of a show, being a mix of old-fashioned music hall routines of comic songs, with the obligatory audience participation, magic, mentalism, sly humour, cod-ventriloquism, slapstick and a bit of sauciness combined with an irrepressible spirit and a touch of sentimentality. 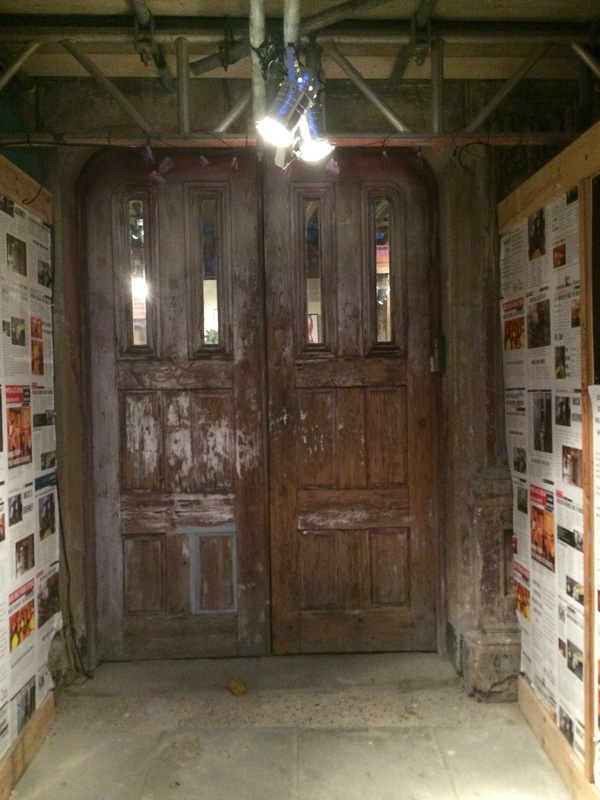 In the mid to late 19th century, Wilton’s Music Hall would have been ‘Mrs Hudson’s’ natural home. At the heart of the Victorian music hall were singing and comedy performers such as Dan Leno, George Robey and Marie Lloyd, male and female impersonators like Vesta Tilley and character acts such as George Leybourne, whose ‘Champagne Charlie’ (a pretend aristocrat who sang about drinking champagne, gambling and womanizing) became a staple character of the music hall circuit. 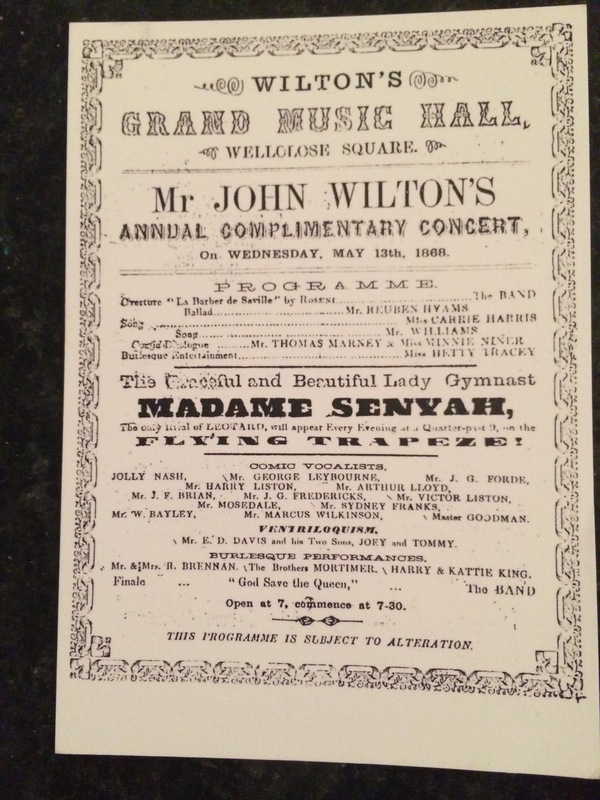 To provide a contrast, lesser known speciality acts were interspersed between singers and comics – jugglers, magicians, sword swallowers, trapeze artists, animal acts and illusionists among many others. Over time, other famous entertainers were drawn in by the popularity of the music hall, such as the world-renowned Russian ballerina, Anna Pavlova, and the actress, Sarah Bernhardt. The latter was said to have sent a message before a performance which simply stated, “Between tigers. Not,” to indicate she was not prepared to appear either immediately before or immediately after an animal act, as befitted her superior status. 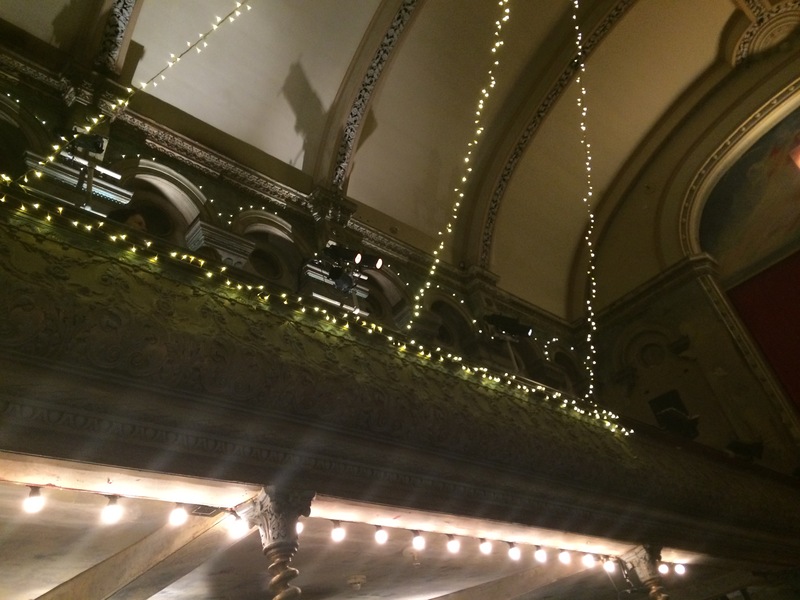 The music hall tradition started out in pubs and taverns and the first music halls were noisy and challenging venues in which to perform as the acts competed with food, drink and audience chatter – and the odd missile in the form of a bottle or boot if the audience took against you. It wasn’t until the grander, purpose-built music halls came along that auditoriums began to be arranged in rows of fixed seats, like the theatres we frequent today, and the refreshment area was separated off. 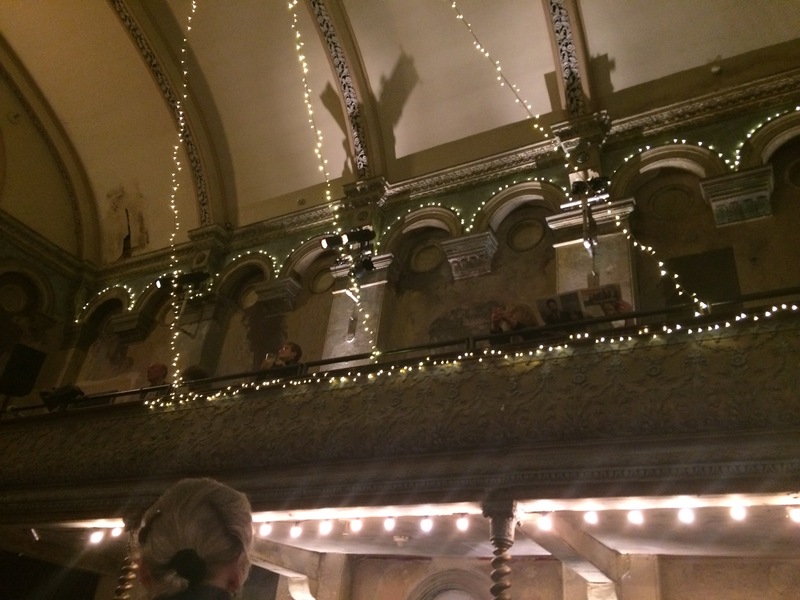 Wilton’s was modelled on other successful 19th century music halls of the time and this tradition is continued today with a selection of tables nearest the front of the stage and a nod to more modern theatre tradition in the rows of seats behind. By 1875 there were around 375 venues in Greater London alone. Before the advent of radio and TV, the music halls were the only venues where audiences could see and hear their favourite acts. 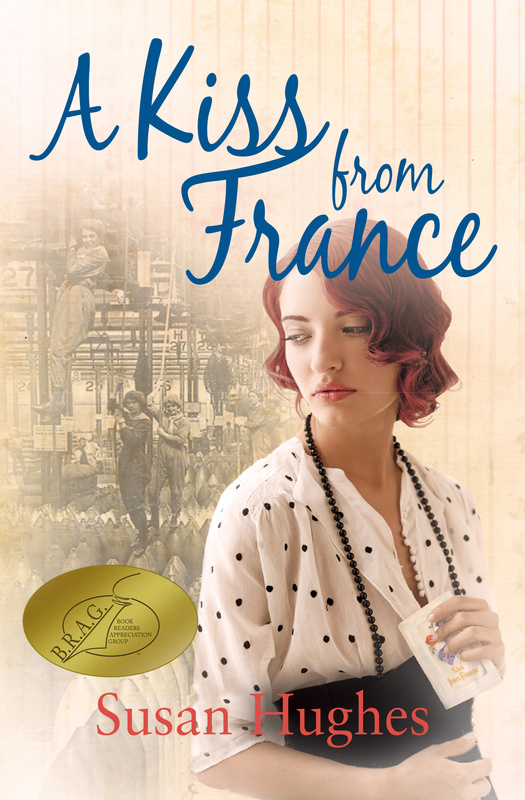 It was claimed by the working classes as one of their favourite forms of entertainment, although the upper echelons of society were quite partial to it too (but not the middle classes, who considered it rather risqué and vulgar – which was the whole point!). In Britain, the spirit of Variety gets its annual outing with ‘The Royal Variety Performance’ and music mogul Simon Cowell has attempted to revive the music hall acts of yesteryear in the ‘Britain’s Got Talent’ TV programme – won variously by a performing dog, a dance group, a mime act and a troupe of aerial gymnasts – acts which modern audiences might be more likely to associate with the circus than a theatre stage – but which could be found performing in the music halls of Victorian Britain. In its heyday, Wilton’s Hall had a single gallery on three sides of the auditorium, supported by ‘barley sugar’ cast iron pillars which rose above the large rectangular hall and a high stage. It was furnished with mirrors and intricate paintwork of gilded leaves and floral decoration. The building had the best heating and lighting system of its time, including a ‘sunburner’ chandelier of 300 gas jets and 27,000 cut crystals which reflected and illuminated the mirrored walls. It had space for supper tables, a benched area and a promenade around the outside for standing customers. Entrance was via a 6d refreshment ticket. The music hall was given a fillip during World War One, when artists began to rally public support for the war effort from the stage. At the beginning of the war, Vesta Tilley became known as ‘Britain’s Best Recruiting Sergeant’ through her impersonations of characters such as Tommy in the Trench and Jack Tar Home from the Sea and by encouraging young men in the audience to join Kitchener’s Army. Patriotic music hall songs such as ‘Keep The Home Fires Burning’ (1914); ‘Tipperary’ (1914); ‘Pack up Your Troubles’ (1915) as well as the later, notorious ‘Oh! What a Lovely War!’ (1917), were all sung by music hall audiences. Eventually, many of the male performers were conscripted and sent off to fight and many returned home maimed or didn’t return at all and the music hall lost a key section of its talent. By the war’s end, talking pictures were all the rage and many music halls were converted into cinemas or pulled down and redeveloped. 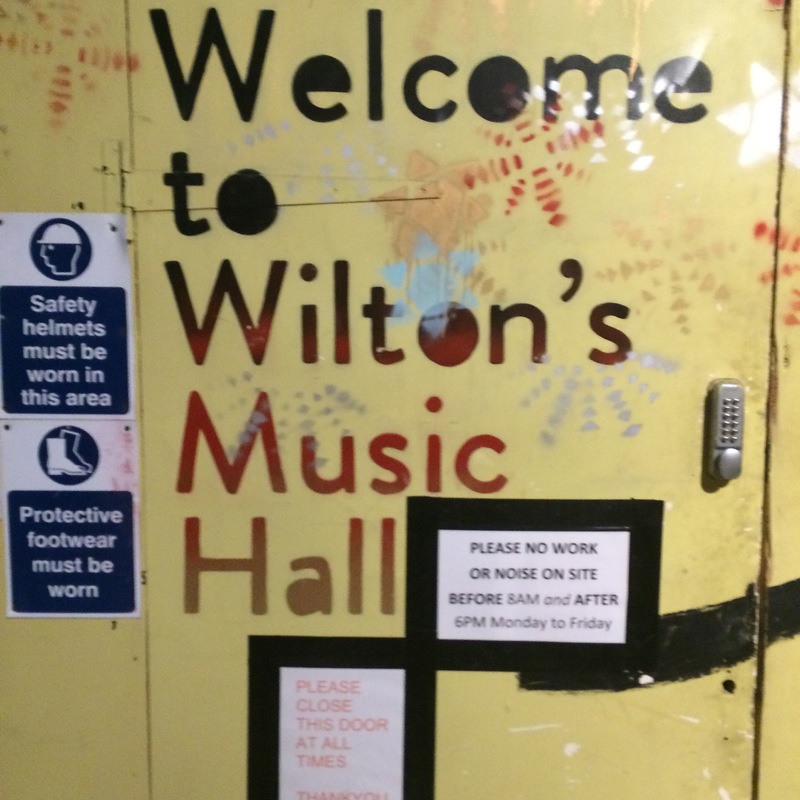 Wilton’s was no exception. That means anything from opera to ping-pong, puppetry to dance to classical music. Maybe all on the same programme! Well, that’s the tradition of Music Hall and Variety, right there, isn’t it?